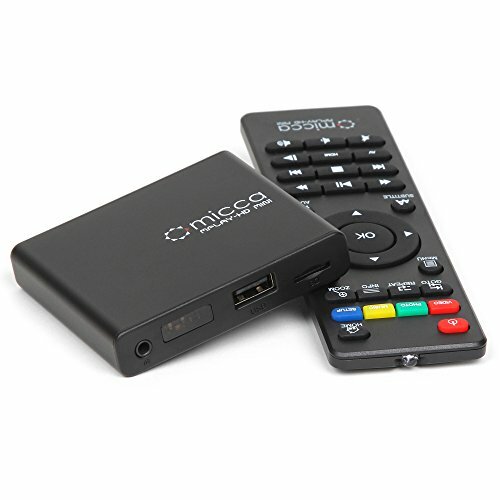 The MPLAY-HD Mini is a powerful yet affordable digital media player designed to easily play videos, music or photos anywhere in the home. Whether playing heart warming home videos in the comfort of a living room or delivering a heart pounding blockbuster movie experience in a home theater, the MPLAY-HD Mini is an exceptionally versatile choice for all media playback needs. The MPLAY-HD Mini provides flawless playback for most popular media file formats up to 1080p. Note that HEVC/H.265, 10-bit MKV, and 4K videos are NOT supported.